Fall is probably the most popular Korean season. The heat of the summer has abated, the skies are a glorious blue and there is a fabulous cool breeze in the air. Without doubt this is the best time to be out trekking. 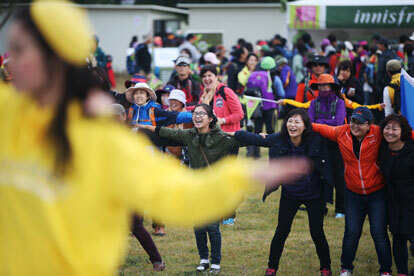 It is no coincidence, then, that the Jeju Olle Walking Festival is held at this time of year, and if you haven’t yet felt the Olle spirit firsthand, this is your best chance. 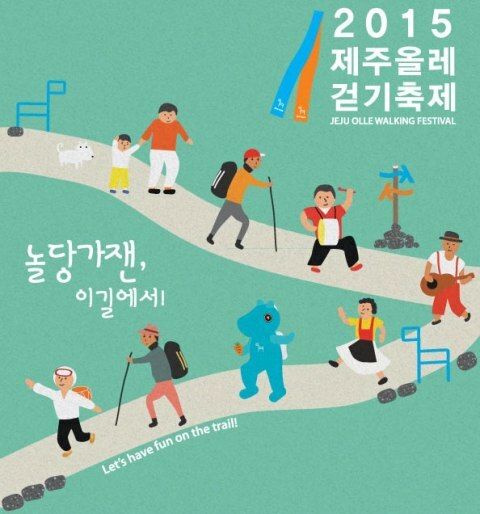 The spirit of the Jeju Olle Walking Festival is much more than just walking. You will see people from all over the world come together to walk, yes, but also dance, sing, skip and hug. It is no coincidence that this year’s slogan is “Let’s have fun on the trail,” all led, of course, by the zestful Jeju Olle founder, Suh Myungsook. You don’t provide all the entertainment yourself, however, as there will be music, foods and culture set up for you along the routes to keep you in good spirits. In an added bonus this year, the KOREAT Food Festival will introduce foods chosen by 100 food experts. Just get down to the Haenyeo Museum on both Oct 30 and 31 to try them out.